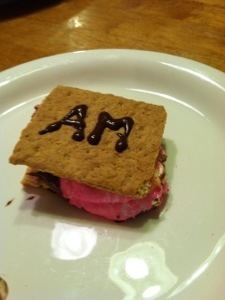 Bonus Dessert Sammy: S’Marz (a.k.a. S’Marzipan S’Meeps a.k.a. Peeps Almond S’Mores)! | sandwich surprise! 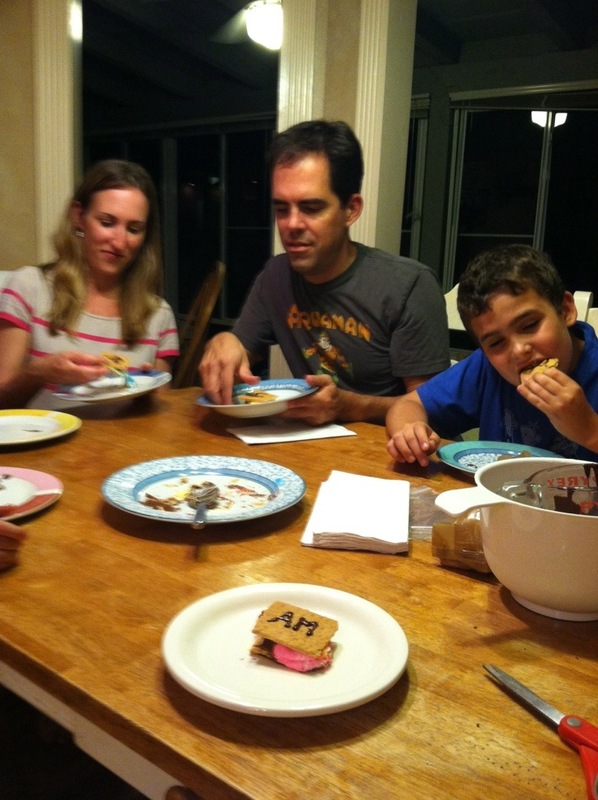 Home » Food » Bonus Dessert Sammy: S’Marz (a.k.a. S’Marzipan S’Meeps a.k.a. Peeps Almond S’Mores)! Really, I should just call these S’Messy. 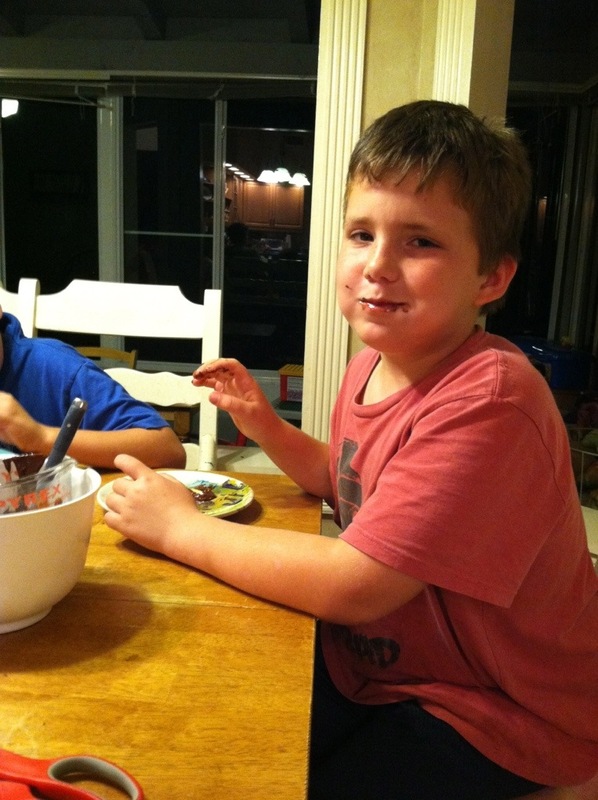 I mean, what did I expect from a “Hershey’s chocolate bars + Peeps + microwave + kids” equation? Let me backtrack for a second. S’Meeps aren’t an original concept. 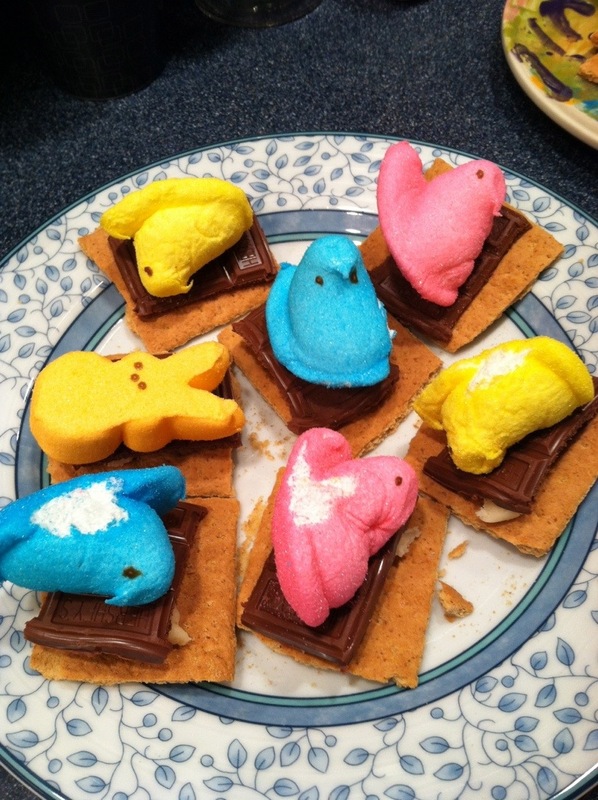 Google “Peeps” and “S’Mores” and you’ll get like 350,000 hits. 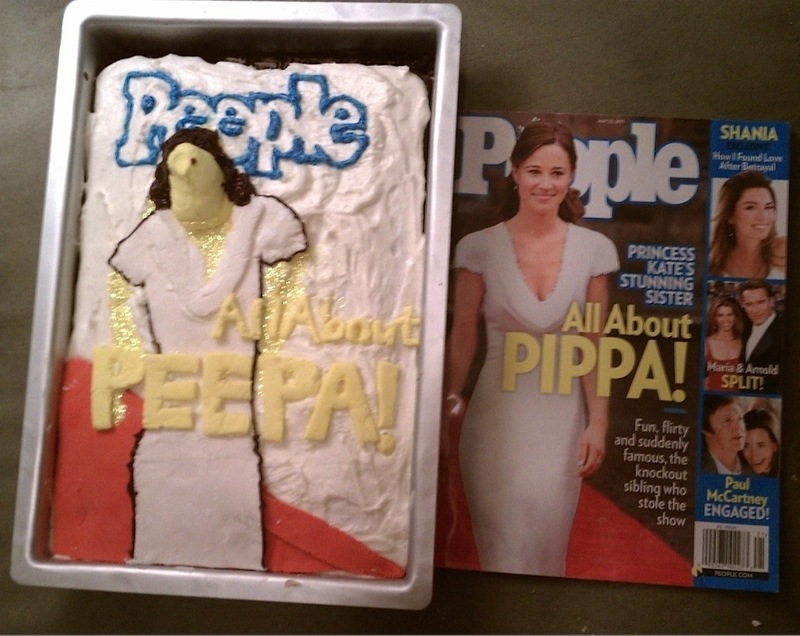 You should’ve seen the Kate cake that took the overall honors. Amaze. But I was thrilled because I won a year’s supply of Georgetown Cupcakes. Best. Prize. Ever. Anyway, I love Peeps. Especially half-off ones the day after Easter. And back in NYC, I had some Ritter Sport Dark Chocolate Marzipan squares just sitting around. So I put two squares on half a graham cracker, rested a Peep on top and nuked it for 25 seconds. So, for Part Two of Sandwich Surprise: The Florida Edition, I busted out this dessert sammy, cutting circles of marzipan from a tube, putting them on the graham crackers, then putting four little rectangles of Hershey’s on that, topped off with all manner of Peeps. If you try this at home, I’d go with the Ritter Sport Marzipan squares because they don’t melt as much. And I’d probably just nuke it for 15 seconds if you have a strong microwave. I distracted the kids by showing them how to pipe their initials on their graham crackers while Michelle nuked the plate of S’Marzipan S’Meeps. It just got way messier from there. 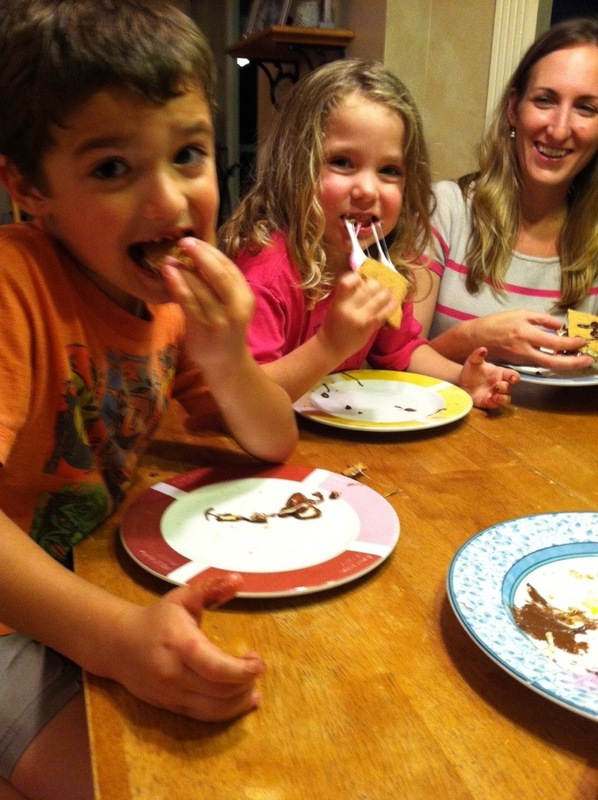 To see the kids’ hilariously sticky critiques, just click on my Facebook page.